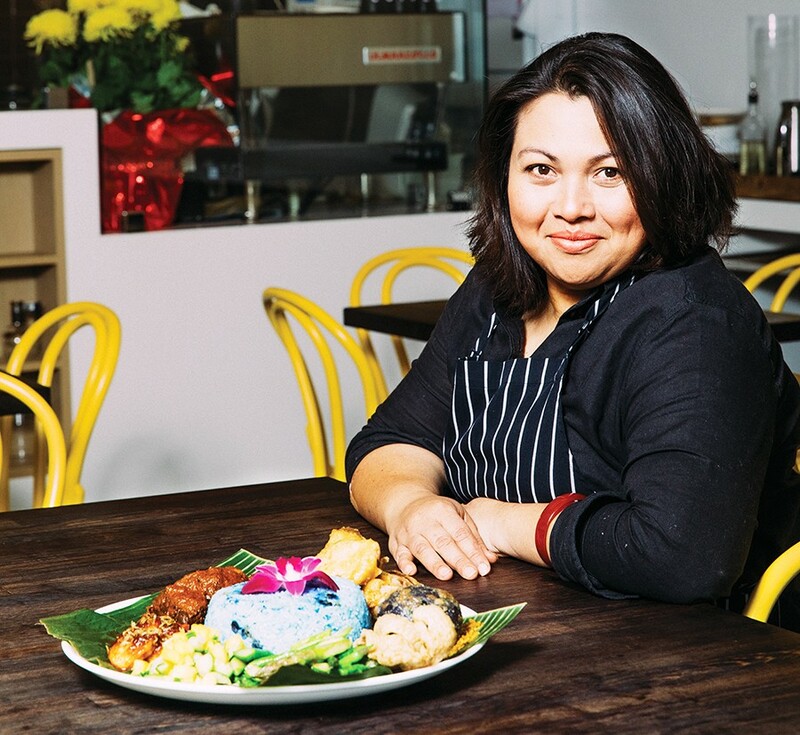 When Nite Yun first started cooking Cambodian food for the masses, she decided to start "safe." Noodle soup. Rice plates. Things that are familiar to folks who like Vietnamese or Thai food. Four years later, she got to work on opening her first restaurant, Nyum Bai (3340 E. 12th St., Oakland). Her concept had already gained traction as a one-year kiosk at Public Market Emeryville: an ode to Cambodia's golden era, showcasing traditional food, music, and culture. Still, she struggled with the menu. "I think I was scared of really going all the way," she said. "I was going back and forth, like, 'Wait, what if they don't like it? What if so-and-so don't like it?' Until I finally accepted that I'm going to put all the food I love to eat on the menu, that's when I could move forward." Everything started to fall into place. The construction. The kitchen. The staff. And the food — far more traditional, bold, and funky than what she'd produced in the past — is a hit. The sweet-salty prahok ktiss, for example, features minced pork simmered in coconut milk, fermented fish paste, palm sugar, and kroeung, the hand-mashed spice paste that's quintessential to Cambodian cuisine. 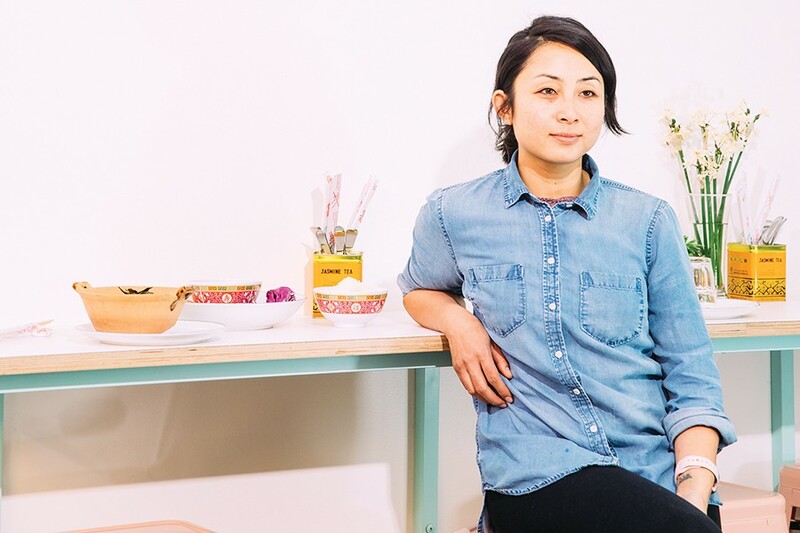 Yun's path to owning her own restaurant bucked conventional wisdom. Born in a Thai refugee camp after her parents fled the brutal genocide in Cambodia, Yun came to the United States when she was 2 years old and grew up among fellow Cambodian refugees in Stockton. She moved to the Bay Area to go to nursing school, but a fateful trip to Cambodia inspired her to take her career in a different direction. "In the beginning, it felt like there were a lot of barriers or stereotypes," Yun said. "People do make judgments on you because you're Asian American, and on top of that, you're a woman." Some industry folks didn't take her seriously, she said. They looked at her and didn't expect her to be the chef-owner of a buzzworthy restaurant. "People will always say something good or bad, but if I just stay true to what I enjoy eating and cook from the memories I have with my mom in the kitchen — to me, that's enough." Nora Dunning will never forget a comment she received at a workplace years ago. "'Nora, this is all delicious. I don't mean to sound racist, but your food is too ethnic for us,'" she recalled. She understood. She didn't object. She was the only person of color at a senior level at that particular business. But it did drive her to find a job that would let her express herself fully. Despite that one incident, Dunning doesn't feel like her identity as an Asian-American woman presented significant challenges throughout her career, though she wonders if it's because she spent years in pastry — an area where women dominate — and then quickly jumped ahead to managing her own kitchens. 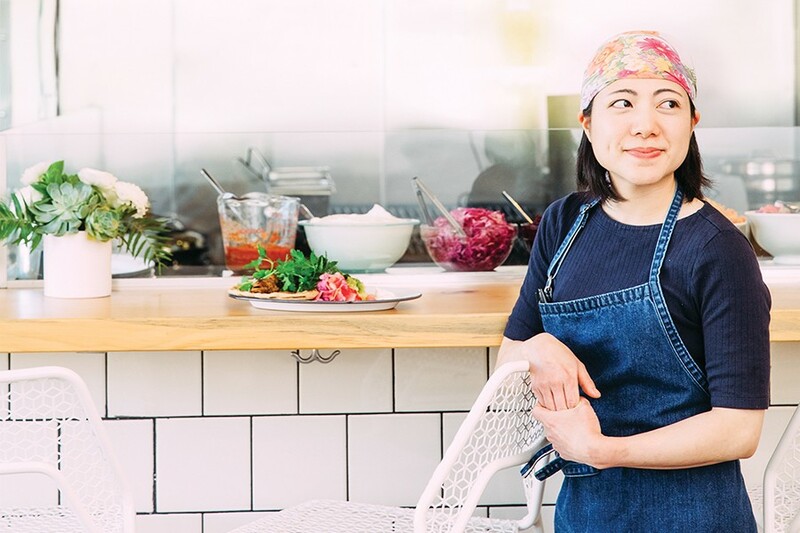 She grew up in Singapore, learning to cook from her mom, and transposes those flavors into her modern, Californian cooking at West Oakland's Drip Line (1940 Union St.). At the sleek cafe, she serves a riff on Indonesian gado gado with farro and baby kale doused in peanut sambal; a sourdough waffle topped with kaya, the Singaporean coconut jam; and Malaysian milk tea, uncharacteristically infused with ginger. "My menu is not authentic Southeast Asian," she said. "I never claimed it to be. I never wanted it to be." Her goal was to slowly introduce Singaporean, Indonesian, and Malaysian flavors in the same seasonal, ingredients-focused way she likes to cook at home. She's less interested in adhering to tradition — in large part because some key ingredients would be difficult to source here. But diners wanted even more funk, so she recently launched dinner service on Fridays to explore and experiment for an open-minded crowd. A frequent star is the nasi padang, a feast of seven Southeast Asian dishes perched on a banana leaf. In Singapore, there's usually a creamy, white potato ball on such a plate. At Drip Line, Dunning wraps purple potatoes around a soft-boiled egg before tossing it in the fryer. "I want you to feel like you're coming to my house," she said. "It's me on a plate. It has history. It has a story to tell." As a daughter of Japanese immigrants raised in Southern California, Traci Matsumoto-Esteban loves fusing Japanese flavors with Californian sensibilities. But day to day, she grills fenugreek-scented chicken, assembles colorful salads, and dollops yogurt onto vaguely Middle Eastern plates at The Kebabery (4201 Market St., Oakland), where she's executive chef. It doesn't exactly match her early food memories — her grandfather studying Iron Chef, her grandmother flipping okonomiyaki in the air — but she's perfectly fine with it for now. She dreams of one day opening a small, sunny, Japanese-ish cafe, with a large display case full of tempting treats baked by her mom. Matsumoto-Esteban decided she'd be a chef at age 15, but she still diligently graduated from high school, went to Japanese language school, and worked for free at a local Japanese-French restaurant. She studied at the Culinary Institute of America at Greystone, got her start in Napa fine dining, and eventually landed at Camino in Oakland. Opening The Kebabery, she admits, wasn't entirely smooth. She's still figuring out how to best be a leader, and she feels grateful to learn while employed at someone else's restaurant. At this point, her biggest challenge is her own bilingualism. "My brain is half Japanese, half English," she said. "When I'm explaining things, I feel like I'm always trying to find the right words." With The Kebabery's completely open kitchen, Matsumoto-Esteban's face is often the first one diners will see when they line up to order. Sometimes they want to talk to the chef — and when Matsumoto-Esteban had a male line cook, customers often assumed he was in charge. Matsumoto-Esteban laughs about it now, but she said she's faced a lot of underestimation throughout her career. It doesn't help that she's less than 5 feet tall. "I'm used to it," she said. "When I first started my first cooking job, no one thought I'd last a month. I just worked my way up."